In 2010, Jacob Shimon realized that there was a need for a newer, more diverse merchant account provider. In this, he founded Argus Merchant Services, one of the most unique and linguistical diverse companies to date. With support in both Spanish and Chinese, businesses around the world can use Argus Merchant Services for all things related to merchant accounts and even payment gateways. Let’s talk about the benefits of this merchant service provider. It goes without question that their support in multiple languages is a huge incentive, especially when it comes to the international field. In this, the company offers a wealth of different merchant services, which is probably the biggest selling point. These include, but not limited to, payment gateways, merchant accounts, point-of-sale systems, and even mobile payments. Furthermore, this company really has expanded to include many different industries. In the midst of some of the major advantages, there is even more disadvantages. For one, this company does not excel in the customer service department. Many businesses who have interacted or even enrolled in this company’s services have complained about the poor customer service and their dedication to their clientele. Additionally, their merchant services are a bit lack luster. There are high fees and not enough value to really motivate larger businesses to choose this company, over another. 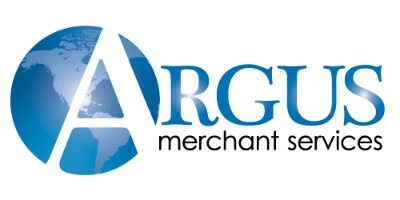 In all honesty, Argus Merchant Services is a decent provider of payment services and merchant accounts. With a linguistical diverse background, this company can prove quite effective for many different business, especially those doing international business. With that, it’s challenging to really see passed some of the major disadvantages, including the lack of transparency, customer support, and absurd fees. We can say that, while Argus Merchant Services is not the worst company out there, they are clearly not the best.